We provide our patients with the most advanced non-surgical treatment protocols available for the resolution of spinal conditions. Our team of professionals will explain and guide you through every step of your diagnosis and treatment. Our proven program is designed to provide patients with a speedy recovery from pain and symptoms but more importantly, long lasting pain relief. 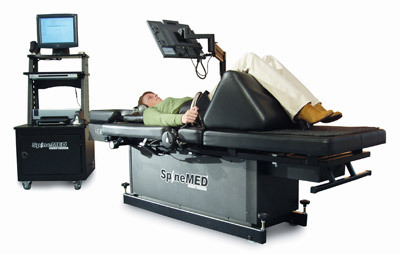 This therapy program repairs and hydrates spinal discs and increases the strength, endurance and flexibility of your cervical and lumbar spine. The goals of this program are to control your pain, reduce the recurrences of your symptoms, and fix the cause of your pain. By increasing the strength, flexibility and alignment of supporting structures, such as the muscles, ligaments, discs, and vertebrae, mechanical loads and stressors are removed and taken off your neck and back resulting in marked reduction of pain and symptoms. A strong, flexible and repaired spine will improve your mood and your enjoyment of daily activities. 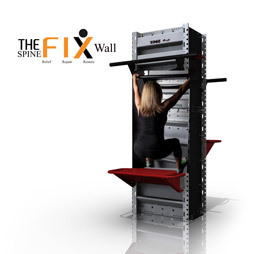 The SpineFix Program will educate you on how your cervical and lumbar spine work, and we will teach you the behavior modification techniques for all your activities of daily living (i.e., sleeping, standing, driving, walking, etc). Keep a positive attitude and know that we will do everything we can so that you HEAL STRONG! What treatments will I receive? Dr. Gonzalez designed the SpineFIX Program to address the layers of irritation and damage that is the cause of pain. The talented and experienced team at our office will manage and deliver your Back Pain Program. Both doctor and staff will monitor and measure the effectiveness of their care in order to ensure resolution and reversal of your pain. All of the treatments provided to our patients are proven to be highly effective in reversing back and neck pain. The SpineFIX Recovery Treatment System is designed to treat all of these causes that are present at each patient’s visit. Other programs are not as effective because they may only address one or two of the reasons for your pain at each visit, perhaps only treating the pain and not the cause. Our treatment is comprehensive and tailored to your individual needs.